Billy Carter sent this photo, along with the following note: “The attached picture was taken Christmas Eve, 2007. 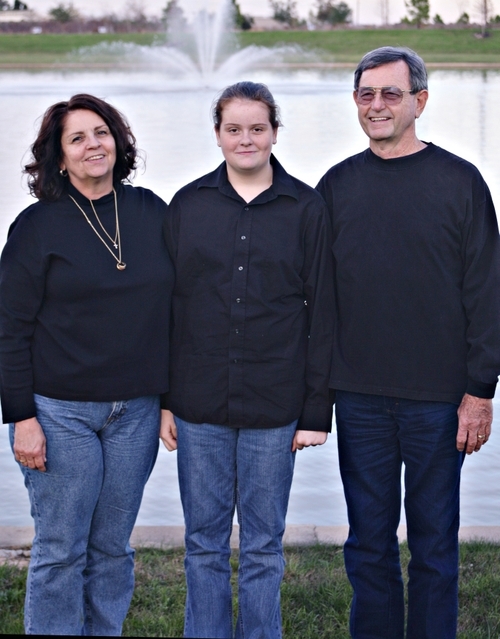 Left to right: my wife Barbara, our 14 year old daughter, Amanda and me. Barb and I are both retired. Amanda attends Klein-Collins High School in Spring, TX. I am 6ft 1in tall. Note that Amanda is catching up with me in height." (Thanks, Billy, for sharing your fine looking family with us!